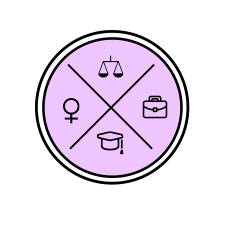 The Women in Law Organisation (‘WILO’) is a mentoring program aimed at women studying in the Australian National University’s College of Law. This program pairs female law students with professional woman in the legal sector, as a means to empower and develop women studying law. provide female students with positive role models. Applicants must be prepared to enter into a respectful and reciprocal relationship with a mentor. Applicants must be able to attend a celebratory event at the end of semester to meet other mentors and like-minded students. Students should read the manual below before commencing the program. 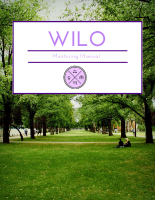 Are you interested in becoming a mentor with WILO? We are always keen to hear from prospective mentors. To become a mentor you will be a lawyer working in in the corporate, public or non-for-profit sector. You will be able to meet with the student on at least two occasions during the semester (February to June 2017). The program is an opportunity for undergraduate students to hear from professionals about the challenges, opportunities and lessons they have learnt. We will also host a celebratory event to provide the opportunity for female legal professionals to network with other mentors. If you are interested in participating in this program, below is a WILO Participant Handbook with additional information for your perusal.